I liked this foot up pose, even with that intruding dead limb across the bird’s neck. 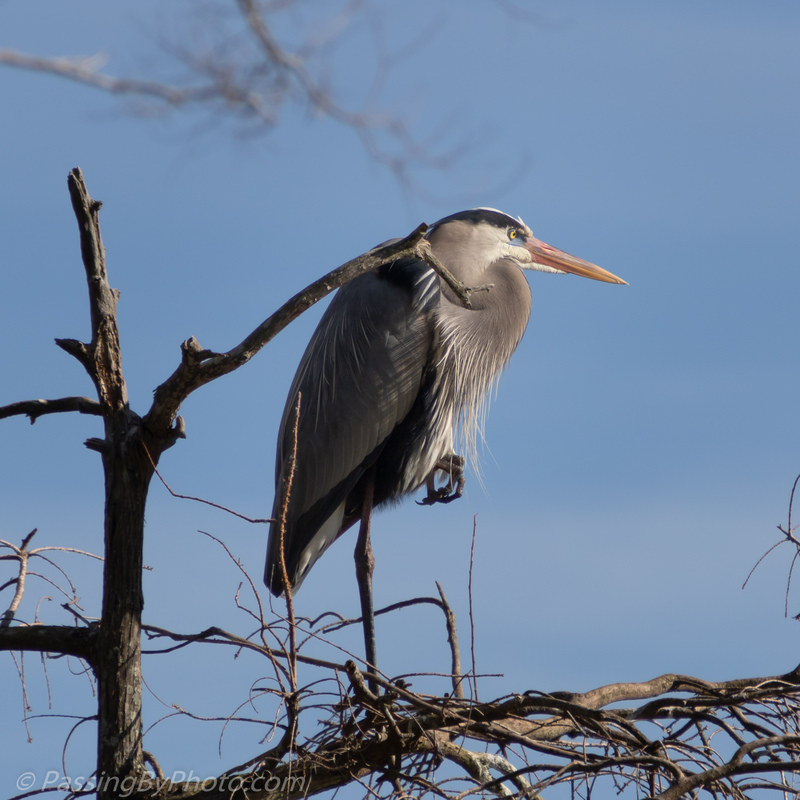 Over the last couple years this has been one of the favorite nesting trees for Great Blue Heron and Great Egrets so I expect I’ll be seeing a lot of that limb as breeding season unfolds. Last year that limb had branches off it, that have either broken away or been pulled off for nest material and this would not have been a clear view. 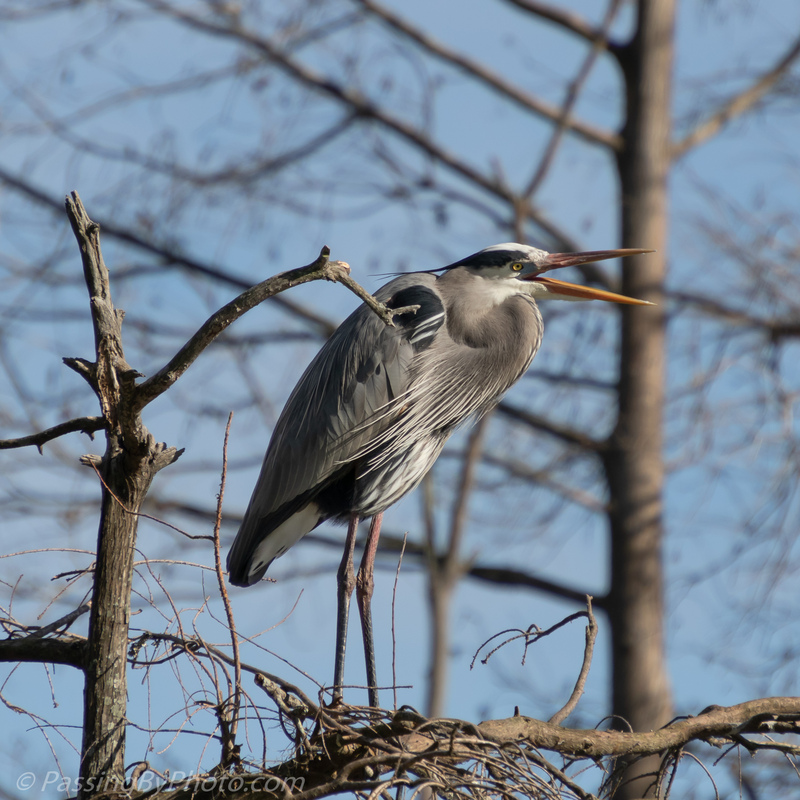 I think the remaining limb is too big for a Heron to break off and put in the nest but I won’t be surprised to see one try. It’s always nice when a bird is “doing something” and you’re there to capture it. Beautifully sharp photos! Yes, and the wading birds spend an amazing amount of their time doing nothing! Thanks, Belinda! Glad that you liked them. Thanks, Donna! Those nails are quite something.